An INTERIOR DESIGN MAGAZINE is a publication that focuses primarily on interior design in a hard copy periodical format or on the Internet. Interior design magazines document the interior of homes, furniture, home accessories, textiles and architecture usually in a highly stylized or staged format. They may also feature cafes, historic houses, eco-friendly living and cutting-edge design. Each issue or publication often acts as a “how to” guide for interior decorating and styling, as well as providing readers up to date design news and the latest trends. Contemporary houses in the magazines today are often highly styled photographs, which are done by interior stylists or decorators. They often do not feature people and just focus on the furniture or interior. Some magazines, such as Apartmento, feature homes that are not staged, but rather highlight elements of the house just as the inhabitant has left them. Shelter magazines - periodical publication with an editorial focus on interior design, architecture, home furnishings, and often gardening. 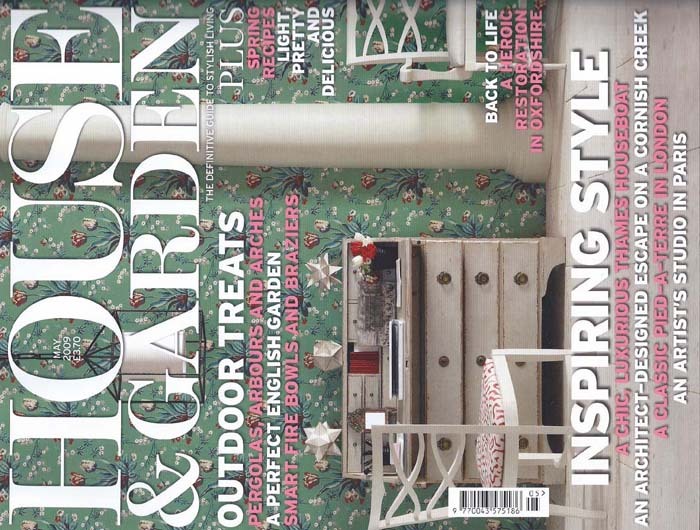 HOUSE & GARDEN - shelter magazine published by Condé Nast Publications that focusses on interior design, entertaining, and gardening. HOUSE BEAUTIFUL - since 1896. Interior decorating magazine that focuses on decorating and the domestic arts.